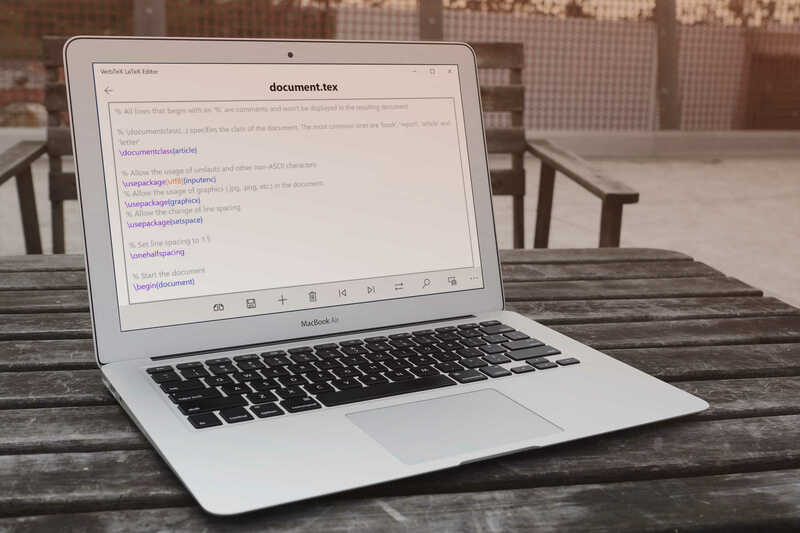 VerbTeX allows you to create and manage LaTeX projects directly on your Windows device and generate a PDF by using the LaTeX service available at verbosus.com. You can import and export existing projects by using the File Explorer. Simply drag and drop your projects in the root project folder.